What is everyone watching right now? I am sure most of you are watching The Bachelor but can we just talk about the show This Is Us. I am ADDICTED! Its so good. I think I cry every episode, but mostly happy tears :) If you haven't checked it out yet, you must! Happy Tuesday! How is the weather where you guys are? Its just crazy here. We are probably the only state that gets all four seasons in one week! haha :) This week its been in the high 60's so I have been putting away the sweaters and bringing out the lighter items. Skirts and dresses are totally appropriate because you will never be cold with our weather. Maybe next month we will be back to winter! This is one of my favorite dresses from Luna Grace Boutique. I love the lace and the bell sleeves, of course. It is such a fun outfit and can be paired with booties or wedges, you could even pair it with sandals. I know its been selling fast, so grab it while you can! Happy Saturday my loves! It is going to be in the high 60's here all week, and it looks like for the near future. We had maybe three days of winter, haha! I still have all these cute beanies to break out and mother nature is really messing with me :) With all that being said, it seemed appropriate to post about this dress now. Its no secret that I am obsessed with blush, it is such a soft pretty pop of color. It can instantly be matched with so many different colors. Also this dress is super affordable! I love being able to get more and spend less! Its definitly a must have. Happy Wednesday!!! You know what this means? We are halfway through the week! We have a warm weekend coming up that I will be looking forward to. 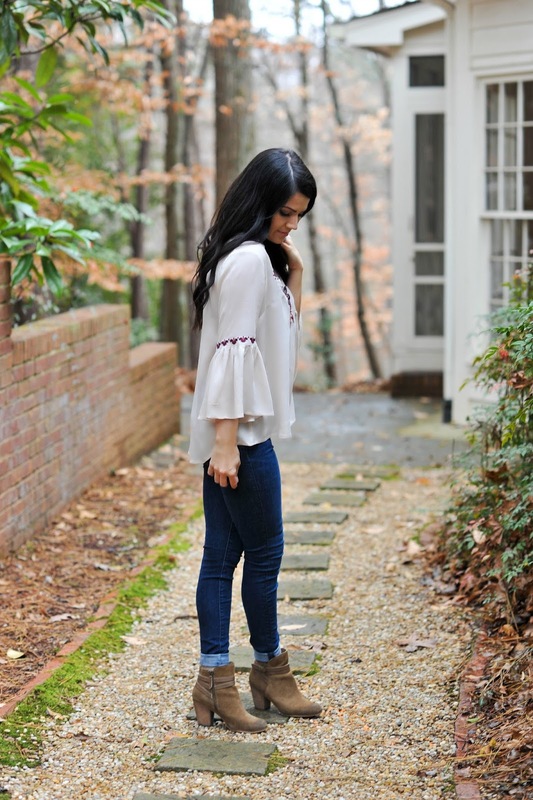 This top is so freaking cute, I cannot wait to wear it again and again in spring! 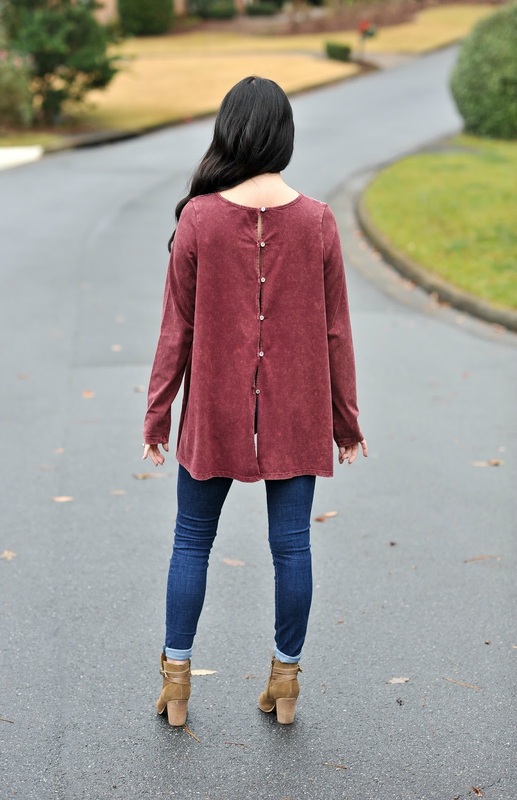 I love the color, I have a thing for blush tones… and the cute tie detail on the arm makes it that much cuter, but my absolute favorite part of this top is the back, and how it opens up! How cute is that??! Its also $30 which also makes it even more attractive! 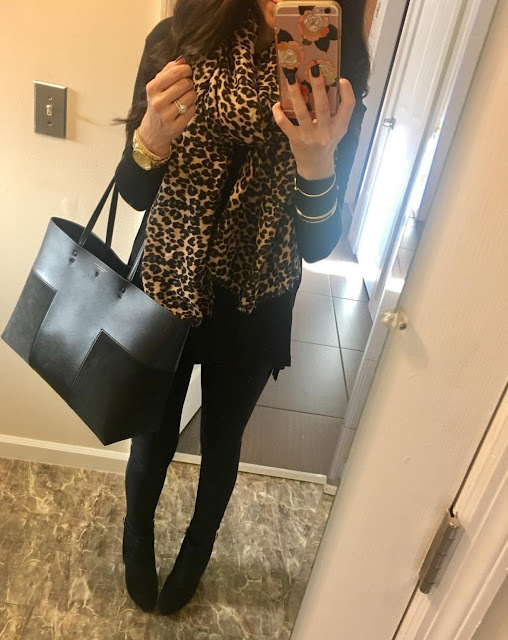 I am thinking of dedicating Wednesday to be the day of the week that I will do a dedicated post called " What To Wear Wednesday"…I will feature my favorite new trend, or specific item.. would everyone like to see that? 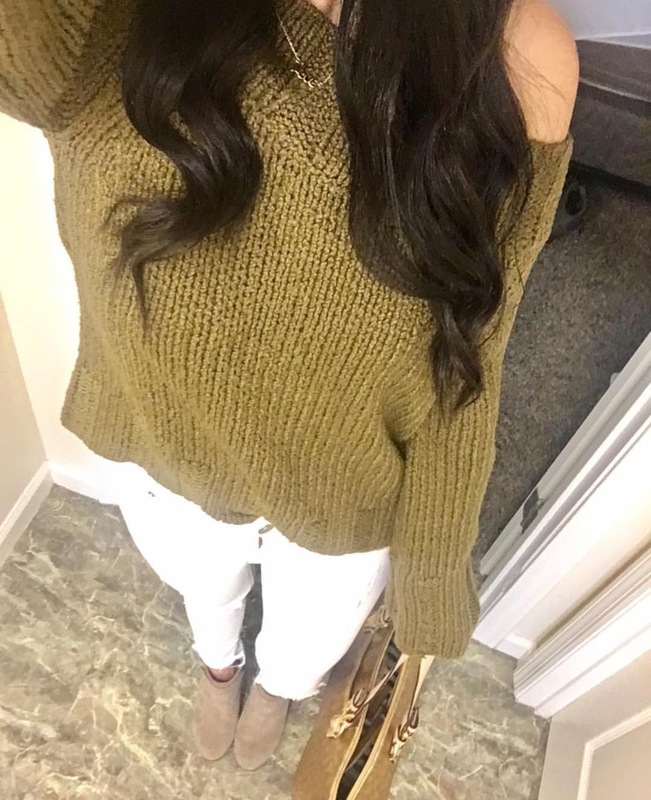 This is a short post today! But I hope everyone has a beautiful Wednesday! Happy Tuesday all my lovely friends :) I had the mondayest monday of all times yesterday. I don't even know if I have the energy to rehash it all, so I am just going to focus on it being a new day! I LOVE this cute off the shoulder top, I really just love all off the shoulder tops but this one is special because it is my favorite flowy fabric, along with this cute bow detail on the shoulders. Also did I mention it is super affordable??! YES, it is! Here in Tennessee I never know how to dress, last friday it was snowing, this friday it will be 70 degrees. So needless to say, I am confused and wishing we had seasons! Spring will be here before we know it but I could use a bit more snow before that happens. I am jealous of all of you with all that fluffy snow to go outside and play with, I would love to bundle up and go out in it! 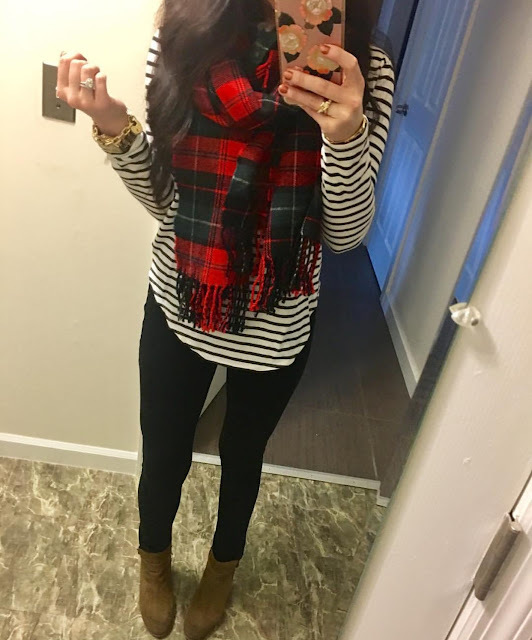 But until that happens I will just continue to switch out my fall/winter/spring clothing, haha! Happy Sunday!! I hope everyone is having a nice relaxing day. I am sure most of you are having some COLD weather. We got a little bit of snow on Friday which was nice, but oh my goodness, Jake and I went out on Saturday and the cold actually hurt my face, haha. So needless to say we stayed inside after that! We have had a really good weekend and got to spend a lot of time together, so I am very thankful for that. We FINALLY took down our Christmas tree and that was a lot of work, packing everything up and then cleaning the excessive amount of needles that fell from the tree. Anyway, my house looks empty. :( How long until Christmas this year? Haha. 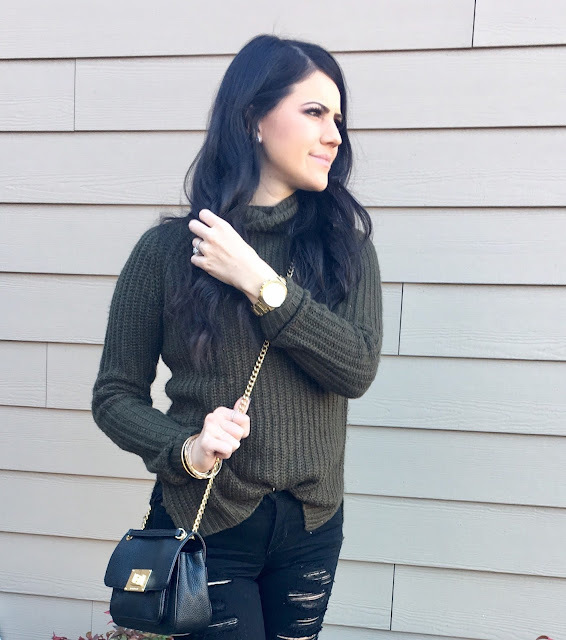 Now that we have cold weather here I can finally finally start doing some blog posts on winter fashion and not be sweating! haha So those will be coming your way soon. I hope everyone has a great rest of their weekend and a great start to your week tomorrow! Happy Thursday party people!! Do you know what this means?! We only have one more day until the weekend :) ha…So I decided to do a different post for this look. This skirt is so versatile, its appropriate enough for work but also edgy enough to be taken to happy hour! 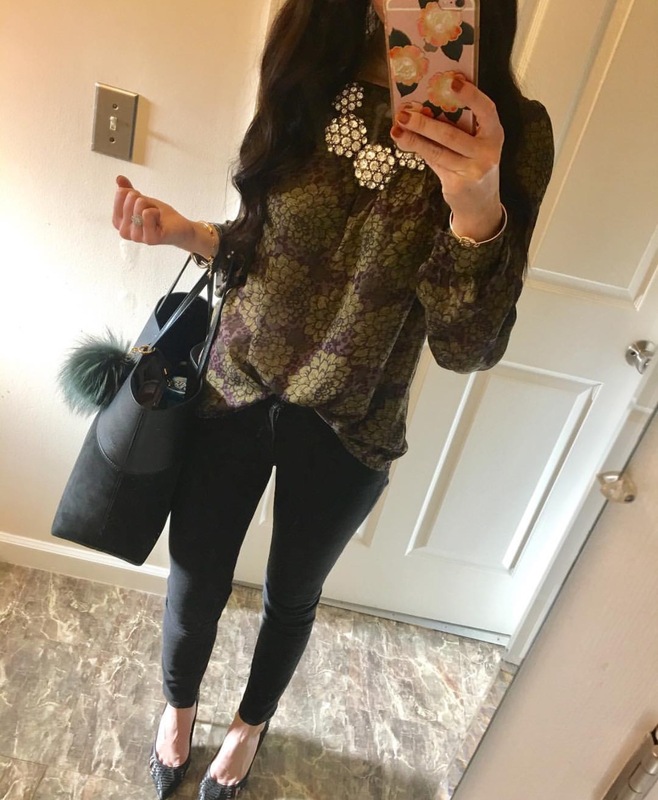 I am always looking for outfits that can be worn to many different functions, and paired many ways. I believe this skirt can do both. 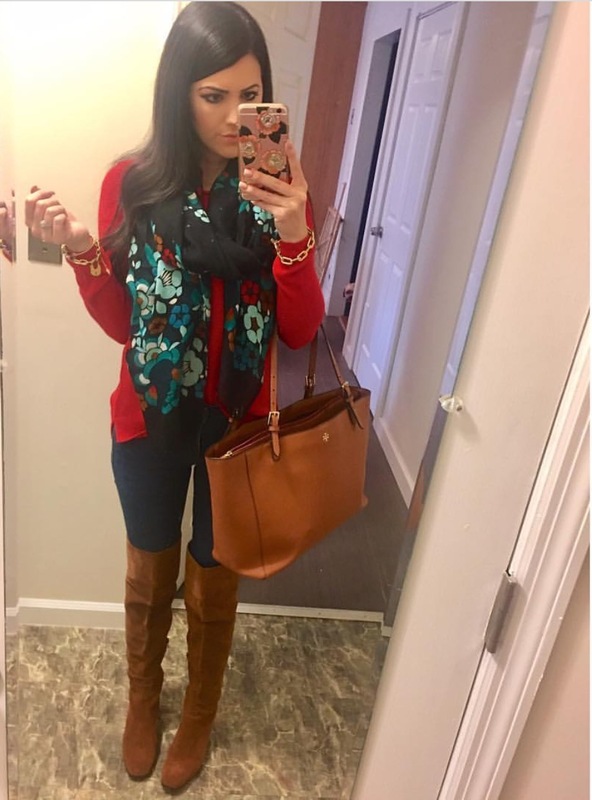 My husband always tells me I look good in red, so I take that statement and wear red as much as I can, haha! Since we all need options and want to spend less and get more, its best to purchase pieces that can be worn for work, fun and some events. I am always on the hunt for a great deal. People laugh because if there is a sale, I will always find it! This skirt is super affordable and is just $40!! I have also posted few options that can go from work to happy hour effortlessly! Happy Wednesday my loves! 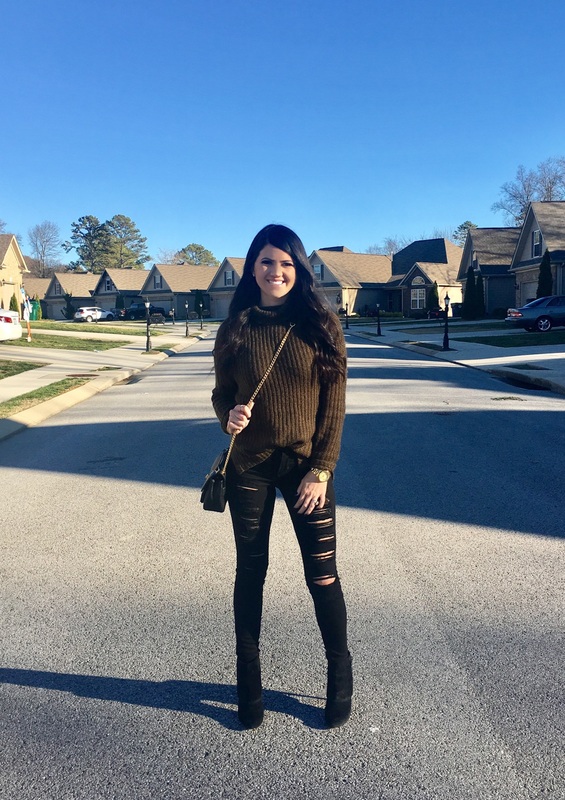 This is my FAVORITE top from Luna Grace Boutique. It is so pretty and flowy and I love the colors in it. 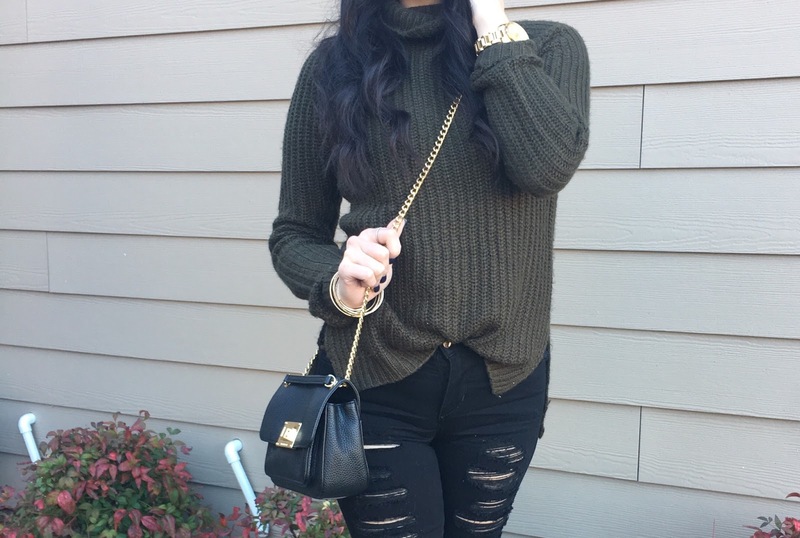 I actually wore it over the weekend with my burgundy jeans and booties and it was too cute! 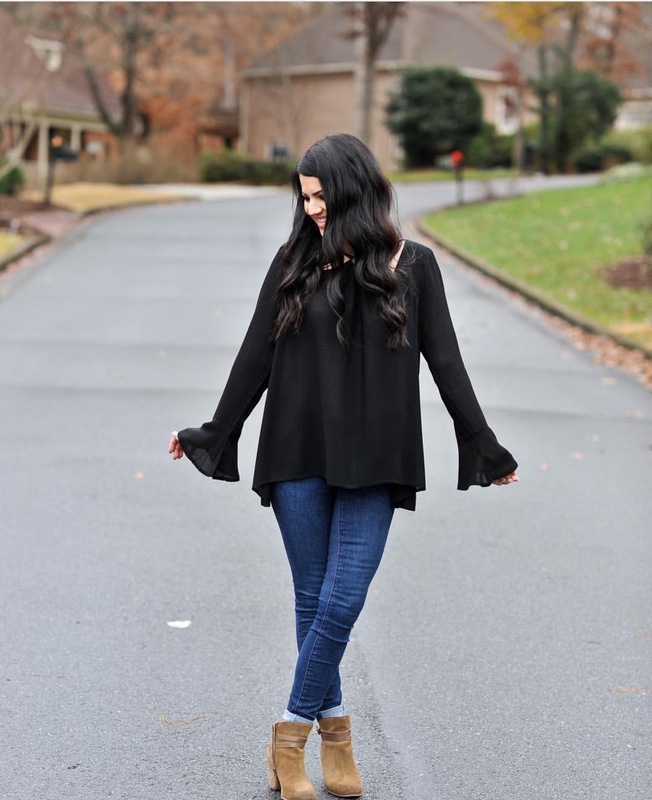 Anything bell sleeve right now, I am loving. Along with this cute bell sleeve top, I have linked a few other bell sleeve tops that I am currently craving right now! I hope everyone had a wonderful new year and got to celebrate with the ones they love! Does anyone have any resolutions that they are going to start this year? I would really love to get back in the gym ( I know so cliche, right?- But true! ) I would also like to spend less time worrying about things and more time enjoying all the beautiful things around me! What kind of awesome resolutions do you guys have? I would love to hear them, comment below!